Put the Miscanthus mulch on your side! 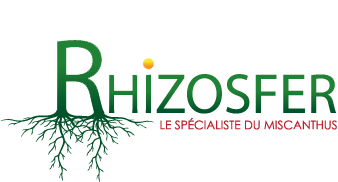 At Rhizosfer, we are committed to advise our customers on which niche to promote their harvest. Many people on this market are turning to horticulturists to sell their output. The Miscanthus mulch is a great option for those wishing to take care of their plants. Horticultural enthusiasts and professionals will not tell us otherwise! For several decades, this grass has been used for horticultural mulching. Indeed, it offers several benefits that allow it to be a suitable product for this use. Among the features that are often highlighted is the ecological aspect of Miscanthus mulch. However, the product also has aesthetic qualities that is appropriate for your flowerbeds, for example. Adopting it means choosing respect of the environment, sustainability, but also attractiveness of your garden. The Miscanthus mulch is an alternative to other covering products on the market today. The main reason why experts recommend its use, is for its ability to reduce weed growth. Thus, it is not necessary for a planter to use phytosanitary solutions on his land. In addition, no chemicals, such as pesticides or fertilizers, are used in the cultivation of this grass. Over time, with the decaying process, the straw releases organic substances such as potassium hydroxide or other minerals. These various elements help in the development of healthier soil. The luminous complexion of this mulching is an appreciable aesthetic advantage to promote its plants, whether conditioned on the ground or in a pot.